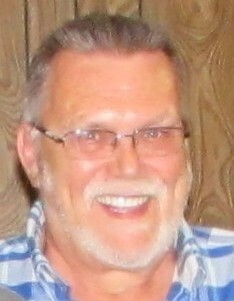 Obituary for David E. Ott | Sorge Funeral Home Inc.
David E. Ott, 65, East Freedom, passed away Monday at Conemaugh Nason Medical Center, Roaring Spring. He was born in Altoona, son of the late Cletus P. and Clyde E. (McKendree) Ott. Surviving are his long-time friend, Jim Smith; and four brothers: Richard and wife, Sandra, Steve and wife, Annie, Daniel and wife Leisha, and Steve Black and Karen, all of Altoona. He graduated from Altoona Area High School and was executive housekeeper for many different hotels. David enjoyed car shows and NASCAR, flea markets and antiques. Friends will be received from 4:00 to 6:00 p.m. Thursday, February 7, 2019, at Sorge Funeral Home Inc., Hollidaysburg, where a funeral service will be held at 6:00 p.m. Thursday, Pastor Steve Olivieri officiating. Interment will be at Alto-Reste Park. In lieu of flowers, please make memorial to Mending Hearts Animal Rescue, P.O. Box 97, Hollidaysburg, PA 16648.